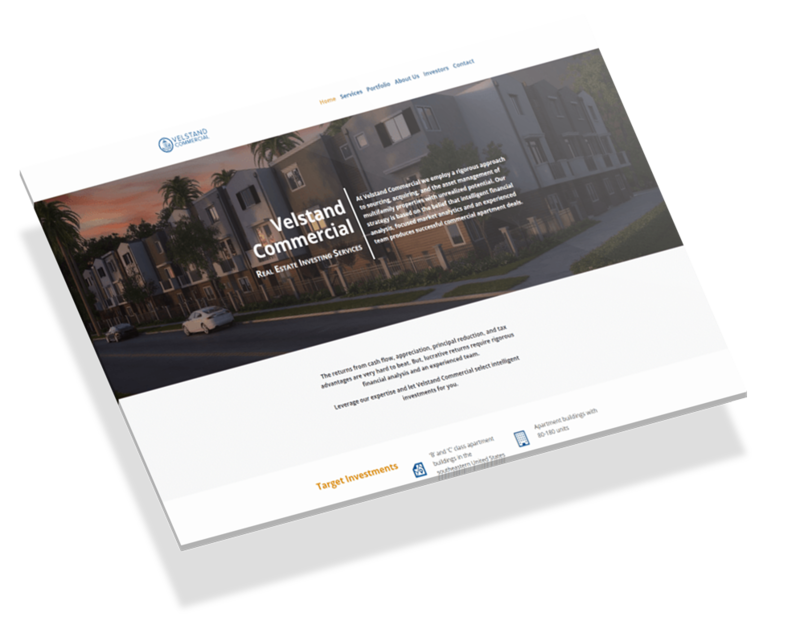 New website designed and developed for my friends at Velstand Commercial. Eric and Erik at Velstand run a great commercial property investment company. 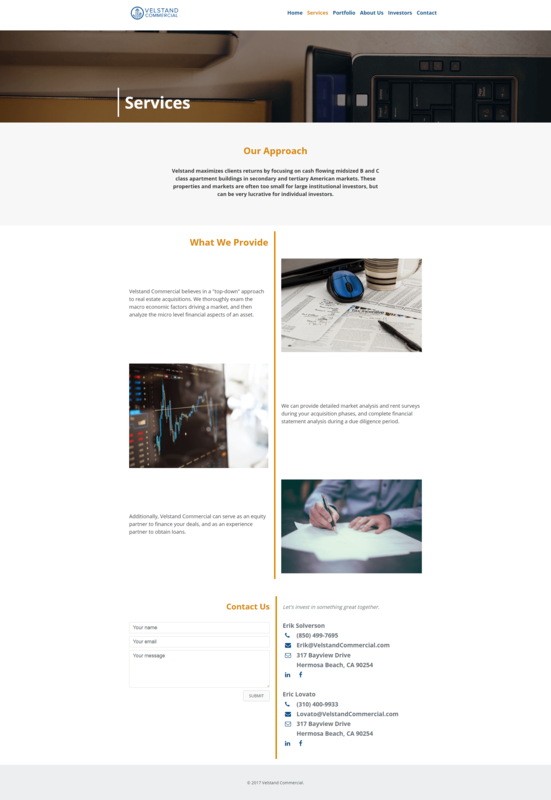 They also had a real need for a modern and sophisticated website match the high quality of their investment portfolio. 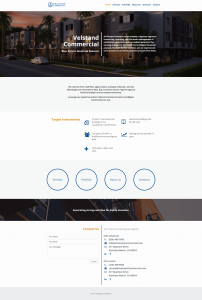 The site is built on WordPress and takes advantage of a custom theme. In addition, the guys wanted to be able to handle minor changes to the site themselves, so we used Beaver Builder to put the final layouts together. Finally, I ended up making a custom module to handle a unique design idea on their Portfolio page, which I plan on releasing in the next update to CB Custom Modules.